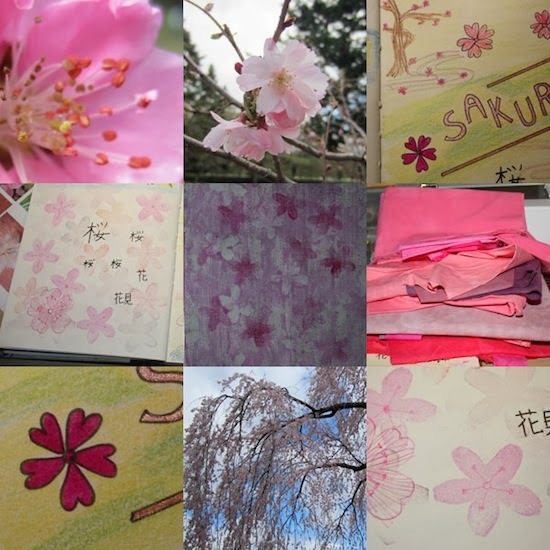 I've been obsessed with the colour pink, more precisely the colour of sakura. One of the ways to say pink in Japanese is to use "sakura colour" 桜色 (sakura iro). I can see a sakura quilt in my near future. 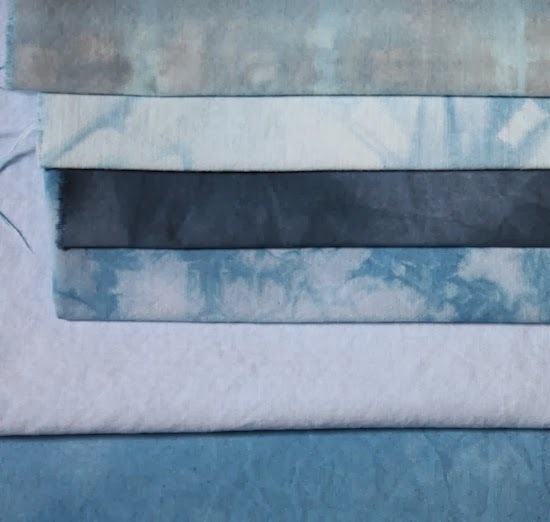 I still have lots of pink fabric, but I needed to dye some blue for the sky. I did a few small pieces, and two larger ones. That should be sufficient for the quilt I have in mind. The colours are brighter in reality, but today is a pretty dull day and I can't get the colours right. I also did a few monotypes, on paper. Pictures will be for another post. I love these beauritiful pink colours in your montage, looking forward to seeing how the quilt turns out. Sounds gorgeous! I loved seeing the Sakura blossoms in Japan. What great sky fabrics! Your quilt ideas sound wonderful.